Let’s face it – The hiring process is stressful for both sides. The job seeker is putting their talents and career future on the line, which is a vulnerable place to be. The organization is investing considerable resources in hopes of finding a star in the making. This is important stuff. And yet far too many organizations make a mess out of the candidate experience in the recruiting process. This is astonishing and just plain self-destructive. In other words, a good candidate experience is brilliant marketing for an organization; a bad one is an ongoing black eye for people interested in your employer brand. Devastating as that is, this fact is even worse: a bad hiring experience may cause the right applicant to turn down the job. Top talent has no desire to work in a disrespectful organization with leaders who simply don’t care about the recruiting process. 1) Walk in the job seeker’s shoes. We’ve all been job seekers at some point in our careers. As you design or improve your hiring process, keep the applicant experience front and center at all times. Yes, this is about fulfilling your organization’s needs, but the more you understand and design the process from the applicant’s point of view, the more successful you will be. Role-playing can be invaluable here. Have a team member play an applicant as you design each step of your process. 2) Communicate. Remember that disgraceful statistic: over 70 percent of online applicants never even get a form reply. This is often a symptom of dysfunctional Leadership and HR; it violates the rules of common human courtesy and smart communication. You must explain every step of the hiring process to an applicant. Always meet the deadlines and markers you have established. If for some unforeseeable reason, you’re unable to, communicate that swiftly and directly to the applicant. Stay transparent and honest all the way through. 3) Bring employees in the process. Jobs don’t exist in a vacuum. You want to hire people who are going to mesh with your culture. The best way to ensure this is to seek employee input in designing and implementing your hiring. A fresh pair of eyes can sometimes provide just the insight you’re seeking. And consider having promising candidates meet with their possible future teammates to gauge workplace culture fit. Too many HR departments want to guard their culture against the world. That’s a mistake. Moliere once said: “I take my good where I find it.” He’s one smart guy. 4) Personalize the recruiting process. You’ve heard me say it again and again: when it comes organizations and their people, one size fits no one. You want a hiring process that has built-in flexibility, not rigid rules. Some of the best talent is idiosyncratic, eccentric and maybe even a bit weird (exhibit A: Steve Jobs). The last thing you want is a process that eliminates stellar talent for bureaucratic reasons. Yes, a college degree is nice, but is it really the key determinant of an applicant’s future performance? Methinks not. Hiring lies at the very heart of HR and Leadership. When candidates are hired after a positive experience, they hit the ground running, their commitment to your organization having been nurtured and strengthened during every step of the process. When candidates aren’t hired, they walk away feeling respected and appreciated, and are far more likely to recommend other talent look into your organization. This is world-class HR. And you can make it happen! 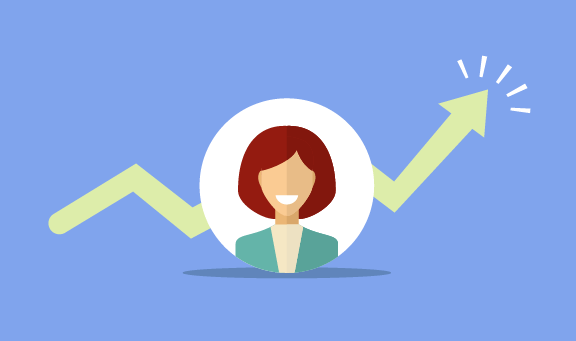 Why you need to improve your candidate experience? Traditionally the job/labour market would favor the employer. There were few GOOD jobs and multiple candidates. Many companies had the liberty of posting a good job and receiving dozens of great qualified candidates; put these candidates through the hiring process at your companies pace and then make an offer – hiring process complete. However, all things must come to an end and looking at the current job market it is the complete opposite. Many companies are hiring and the top candidates are now the ones in demand and not the company. So how does this affect companies in 2018? Candidates are now choosing their employers and the time-consuming rigorous hiring methods that were previously so successful will not work in securing a top-level candidate. The hiring model that was previously used in years gone back are therefore ineffective to be used now and if companies want to remain competitive in the hiring process, it is necessary therefore for them to adjust their hiring model, if not already done. Candidate experience during the hiring process is now becoming increasingly important for companies. Potential candidates share their hiring experiences online and in-person particularly if they are bad. These negative reviews can prevent others from applying for roles within the company and will ultimately affect the company’s hiring goals as well as its objectives. One Forbes report indicated that “the candidate experience during the recruitment process not only determines their willingness to join the company, it also shapes the relationship they have with the brand and their willingness to make purchases from a company longer-term.” Bad candidate experiences can even impact the financial gain for the employer. It was identified by Forbes article that given that the job market is the way it currently is “Often the best people are being recruited by multiple companies simultaneously. By improving the total candidate journey and creating positive moments of surprise within it, a company creates an opportunity for itself to achieve differentiation and to convert the best candidates into new hires when all else is equal.” If companies hope to remain competitive and retain the best talent it is important that their candidates have a positive candidate experience. As the saying goes first impressions last. A complete change of the recruiting and hiring process would require investments in both time and resources and might not seem feasible right now. Here are a few of the tips suggested in the Forbes article Here’s why you need to improve your company’s candidate journey – and how to make it better. 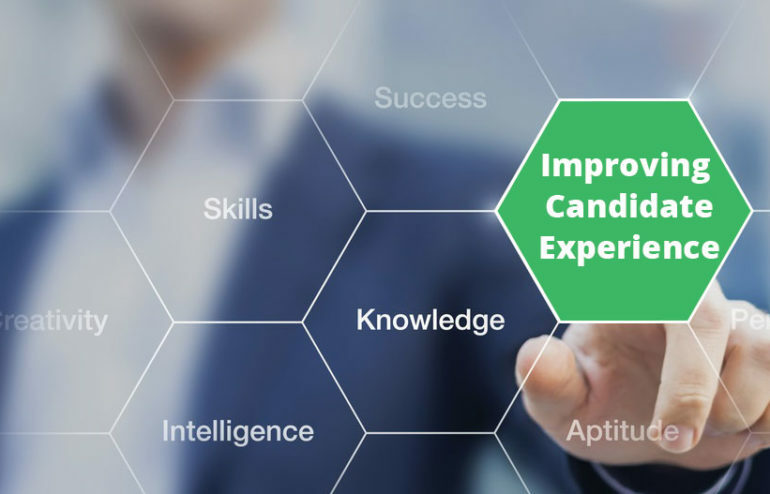 Identify all candidate experience touchpoints – It should identify every point along the entire talent acquisition process; everything from brand discovery to job descriptions, the online application, telephone and in-person interviews, the job offer – all the way through onboarding activities. Analyze the current situation – Find out how good (or bad) your company is at each contact point along the candidate journey. Use surveys, interviews and speak with recently hired employees to assess the current situation. Determine areas for improvement – Rate your company in each area of the candidate journey to discover the areas needing the most improvement. Then, determine where you can make the biggest impact, how long it will take and the resources necessary (people, technology tools and budget). Dedicate qualified resources –To improve the candidate journey experience, dedicate enough qualified resources and budget. Especially helpful are resources who have marketing/communications and branding experience and who also have in-depth knowledge of HR, expertise in process improvement techniques and are tech-savvy.